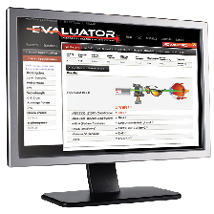 From the leaders in laser safety training, Laser Institute of America (LIA), the Evaluator utilizes an innovative delivery system to provide a new and improved user experience for laser safety officers of all skill levels. Our exclusive Web-based Laser Safety Hazard Analysis System is designed to provide enhanced accessibility, easier navigation and more accurate results. 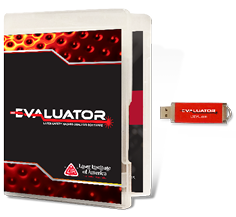 Unlike the web-based Evaluator, the Desktop Evaluator will be available for purchase on a USB drive, from which users can download the software to their computer. Once it is stored on users’ PCs, LSOs will be able to perform a number of repeated calculations based on the ANSI Z136.1 American National Standard for Safe Use of Lasers – including maximum permissible exposure (MPE), optical density (OD), nominal ocular hazard distance (NOHD), nominal hazard zone (NHZ) and laser hazard classification – without worrying about being connected to the internet. This feature will be especially beneficial for military users whose firewalls often restrict continuous access to online content. Disclaimer: All information and material posted on this Website are subject to copyrights owned by the Laser Institute of America (LIA). Any reproduction, retransmission, republication, or other use of all or part of any images or content found on this site is expressly prohibited, unless prior written permission has been granted by LIA. All other rights reserved.